New communication director comes on board June 25. A Cape Cod Times reporter has been hired as communications director for the Steamship Authority, the boat line announced in a press release Wednesday. 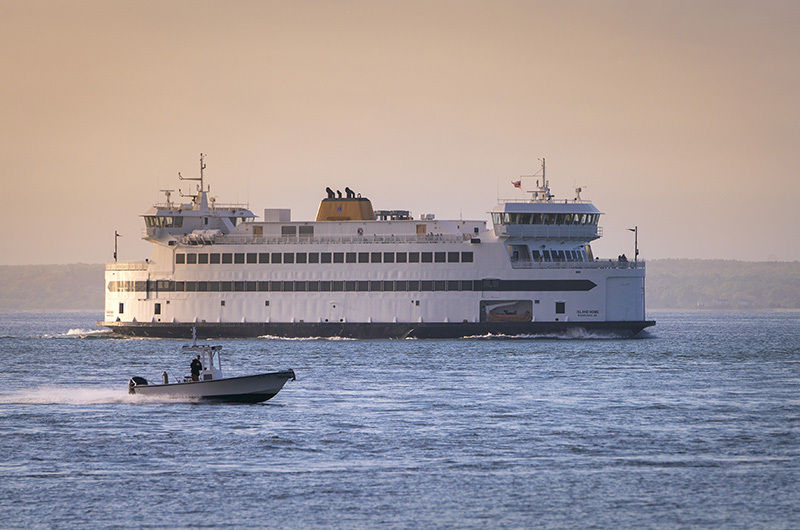 Sean F. Driscoll was selected to fill the new position created this spring amid a series of ferry breakdowns that highlighted communication deficiencies at the organization. Mr. Driscoll was selected from dozens of applicants and interviews, SSA general manager Robert Davis said in the release. He is scheduled to begin the job on June 25. He has worked at the Cape Cod Times for the past five years as an editor and reporter, including covering the Steamship Authority. He is a graduate of Indiana University. Meanwhile the Steamship Authority has announced an extra board of governors meeting to take care of business that was not taken up at the last meeting on the Vineyard, which mainly focused on concerns about ferry reliability and calls to hire an independent consultant to review operations. The board will meet Tuesday, June 12 at 3:30 p.m. at the Steamship Authority administrative offices on Palmer avenue. The regular monthly meeting is scheduled for Tuesday, June 19 at the Hyannis terminal. The addition of a Communications Director is a positive step. I hope he's given sufficient budget to buy the technology and tools he'll need to bring the SSA into the 21st century. I wish him the best of success in this hazard-pay role.